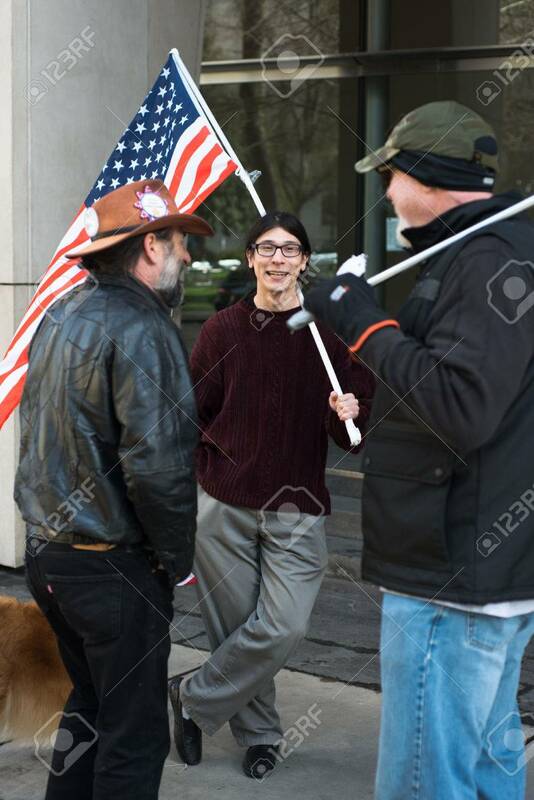 PORTLAND, OREGON MARCH 06 2017, David Fry, Acquitted Defendant.. Stock Photo, Picture And Royalty Free Image. Image 79122538. Stock Photo - PORTLAND, OREGON MARCH 06 2017, David Fry, acquitted defendant in the first trial of the occupation of the Malheur Wildlife Refuge with others protesting the second trial in front of the Courthouse. PORTLAND, OREGON MARCH 06 2017, David Fry, acquitted defendant in the first trial of the occupation of the Malheur Wildlife Refuge with others protesting the second trial in front of the Courthouse.